Pierre-Jean De Smet was born in Dendermonde, Belgium, on 30th January, 1801. He was educated in East Flanders before emigrating to America in 1821 and soon afterwards he entered the novitiate of the Jesuit order in Baltimore in 1821. Ordained in 1827 he taught at the University of St. Louis before travelling in Europe (1833-37). On his return to America he decided to become a missionary with the objective of converting Native Americans to Christianity. In 1838 he was sent to the Potawatomi in Iowa. 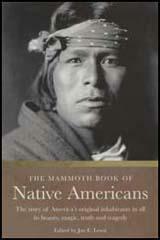 Two years later he joined a group of mountain men and visited the Flathead tribe in the Rocky Mountains. De Smet spent two months with the Flatheads before making his way to Fort Union at Yellowstone. He eventually arrived back in St. Louis in December 1840. Frank McLynn, the author of Wagons West: The Epic Story of America's Overland Trails (2002) has commented: "The leader of the Jesuit mission was a remarkable man, hailed by some as the greatest missionary in the entire nineteenth century... Impetuous and energetic, a wandering star who could never settle anywhere, and a born optimist who hated desk jobs and paper work, the short and portly priest of Flemish peasant stock bowled everyone over with his enthusiasm and good spirits." Pierre-Jean De Smet decided to take a small party to California. De Smet, two Jesuit fathers and three lay brothers boarded the riverboat at St. Louis on 24th April, 1841 and reached Westport, Missouri on 30th April. To help him travel to Oregon De Smet recruited five mountain men: Tom Fitzpatrick, Jim Baker, John Gray, George Simpson and William Mast. At Sapling Grove he joined forces with the wagon train led by John Bidwell. The combined party left Sapling Grove on 12th May, 1841. As Frank McLynn pointed out: "The missionaries' four carts formed the vanguard, each drawn by two mules hitched in tandem. The main party consisted of eight wagons drawn either by mules or horses. In the rear were the slowest-moving vehicles - six wagons drawn by oxen." They followed the Sante Fe Trail for two days before branching off on a faint path created by fur traders who had already made the journey to Fort Laramie. 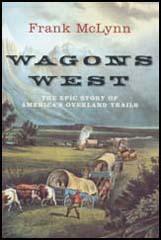 This was to be the first ever wagon train taking people from the Missouri River to California. Four days later De Smet wrote in his journal: "I hope that the journey will end well; it has begun badly. One of our wagons was burned on the steamboat; a horse ran away and was never found; a second fell ill, which I was obliged to exchange for another at a loss. Some of the mules took fright and ran off, leaving their wagons; others, with wagons, have been stalled in the mud. We have faced perilous situations in crossing steep declivities, deep ravines, marshes and rivers." 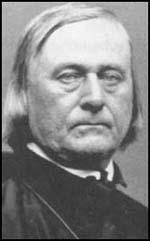 John Bidwell commented: "He (Pierre-Jean De Smet) was genial, of fine presence, and one of the saintliest men I have ever known, and I cannot wonder that the Indians were made to believe him divinely protected. He was a man of great kindness and great affability under all circumstances; nothing seemed to disturb his temper... Sometimes a cart would go over, breaking everything in it to pieces; and at such times Father de Smet would be just the same - beaming with good humor." After reaching Fort Hall on 15th August he established the St. Mary's Mission in Bitterroot Valley, Montana. The following year he visited Fort Vancouver. He narrowly escaped drowning in the rapids of the Columbia River but five of his party died in the accident. De Smet returned to St. Louis in October 1842. He then visited Europe and recruited sisters from Notre Dame and priests from Belgium to establish a convent and school in the Willamette Valley in Oregon. It is estimated that De Smet travelled 180,000 miles during his lifetime. In 1845 he toured Blackfeet country and secured a peace between them with the Flathead tribe. He then crossed the Canadian Rockies before travelling along the Saskatchewan River before wintering at a fur trading post in Canada. Later he met Brigham Young and a large group of Mormons near Council Bluffs. De Smet was also given authority by William Sherman and the Grant Administration Peace Commissioners to carry out peace negotiations with the Sioux. De Smet met Sitting Bull in June 1868. An army officer, James Burns, claimed that "no white man has ever come close to equaling his universal appeal to the Indian." The talks were very successful and representatives of the Sioux agreed to sign a peace treaty at Fort Laramie. Pierre-Jean De Smet died on 23rd May, 1873. I hope that the journey will end well; it has begun badly. One of our wagons was burned on the steamboat; a horse ran away and was never found; a second fell ill, which I was obliged to exchange for another at a loss. Some of the mules took fright and ran off, leaving their wagons; others, with wagons, have been stalled in the mud. We have faced perilous situations in crossing steep declivities, deep ravines, marshes and rivers. He (Pierre-Jean De Smet) was genial, of fine presence, and one of the saintliest men I have ever known, and I cannot wonder that the Indians were made to believe him divinely protected. He was a man of great kindness and great affability under all circumstances; nothing seemed to disturb his temper... Sometimes a cart would go over, breaking everything in it to pieces; and at such times Father de Smet would be just the same - beaming with good humor.